I ate a sandwich but I didn’t now what was in it. Oh my god. The magical battery. The magical battery is a battery that opens the magical vault. People say that if you find it you can keep what is in it. I hurried out of the house and head to the bank. I got to the bank and went up to the counter the man at the counter was so energetic he screamed at the top of his lungs. The man showed me the secret safe. I had to put in a code on a white control pannel. My mouth dropped there is so much money. I really liked how you spread out the words you had to use and did not put them all by each other. Did you know that I had a dream like that before. So, that is cool that you came up with that. I watched a show that had a vault in it. Our story reminded me of that. Did you get your idea from someone else or did you come up with it? Hi Ben.C,I really like your story because it was very interesting. I can imagine the counter-man shouting at the top of his lungs. 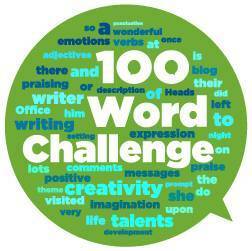 Check out my class blog at msbrennocksclass.100wc.net.